TAIKOPROJECT‘s annual taiko concert Rhythmic Relations returns to the Ford as 50 taiko drummers of all ages perform on drums of all different sizes. The evening will include a mix of classic and contemporary taikosongs blended musically with koto (Japanese harp), vocals, marimba, shinobue (bamboo flute), and dynamic choreography and dance. 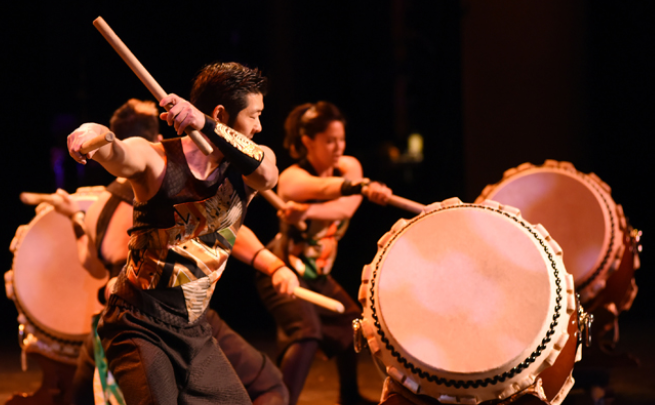 Joining TAIKOPROJECT in performance are Bombu Taiko and youth performing group Kitsune Taiko.